In a warmly lit room in Semarang, Indonesia, forty young people chat together with equally warm smiles. On first glance, an observer would not have suspected that the newly made friends actually came together from a variety of faith, cultural, and even language backgrounds. 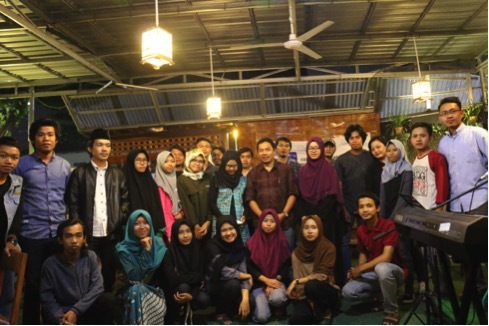 Determined to be the leaders in building harmony and peace in their diverse country, the Indonesian youth are a part of Global Peace Foundation (GPF) Indonesia’s Peace Talk Nasantara program held in cities across the nation. With such diversity, how is it possible to communicate so intimately? Indonesia is a country that is built and thrives in its diversity, earning it the motto Bhinneka Tunggal Ika, or “Unity in Diversity.” The goal of the Peace Talk program aims to help young people connect with the core principles that unite all Indonesians while preserving and upholding the culture of their region. Kalista, one of the Peace Talk participants, was overwhelmed by how she could relate to people so different from her based on the values shared across their regional divides. “Now I can see that we can do something to develop and maintain tolerance and our local wisdom in this city, for our nation,” said Kalista. 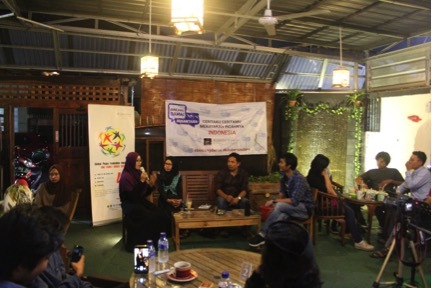 Another Peace Talk was held in Yogyakarta and organizers stated that the program would continue to be hosted across regions. Learn more about the Indonesia Peace Talk program and sign up for monthly newsletters for the latest from Global Peace Foundation.